Ancient seat of the Bedingfeld family, whose history stretches to the War of the Roses, Oxburgh Hall rises from the fens of southwest Norfolk. An ancient fortified manor, which has been reworked and crafted for centuries, it was first conceived of and built in 1482 at the height of the Wars of the Roses. However, at least back to 1086 Domesday Book records a settlement here named Oxenburch and a description: “a fortified place where oxen are kept”. Through the Wars of Religion, the catholic Bedingfeld family threaded a dangerous line at the Tudor Court and found themselves increasingly persecuted for their faith. Staunchly royalist, Charles II rewarded the Bedingfelds with a baronetcy in 1661 though failed to repay the sizable loans made to the crown by the family. 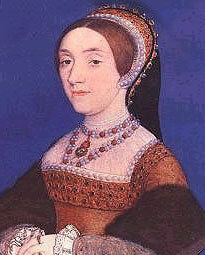 As the 17th Century flowed into the 18th, the Bedingfelds found more acceptance of their Catholicism on the continent, and spent much time away from England and persecution. 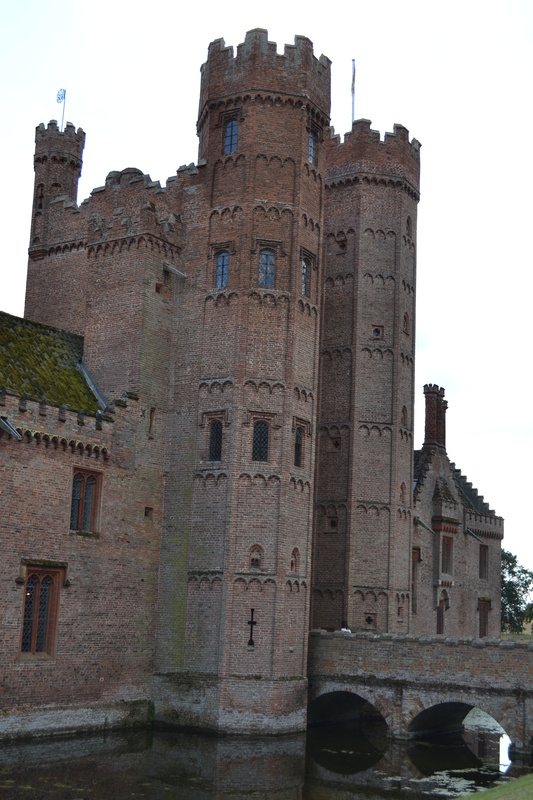 Amazingly, almost 600 years after construction began, Oxburgh Hall retains its ability to awe and overwhelm, just as Sir Edmund Bedingfeld intended in 1482, and the family still resides in the eastern front of this ancient manor. 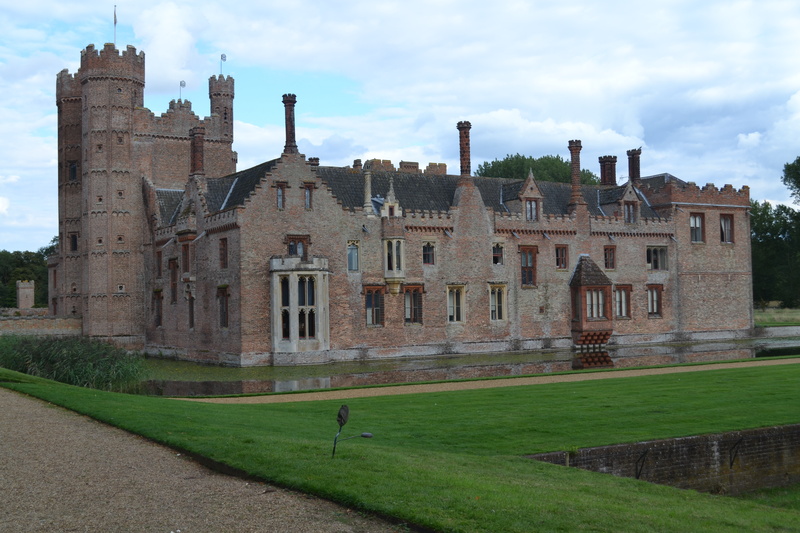 The violence of the War of the Roses, which demanded a strong defense along with the need to build an impressive manor for a rising family of influence in turbulent times, led to the interesting layout of Oxburgh Hall. 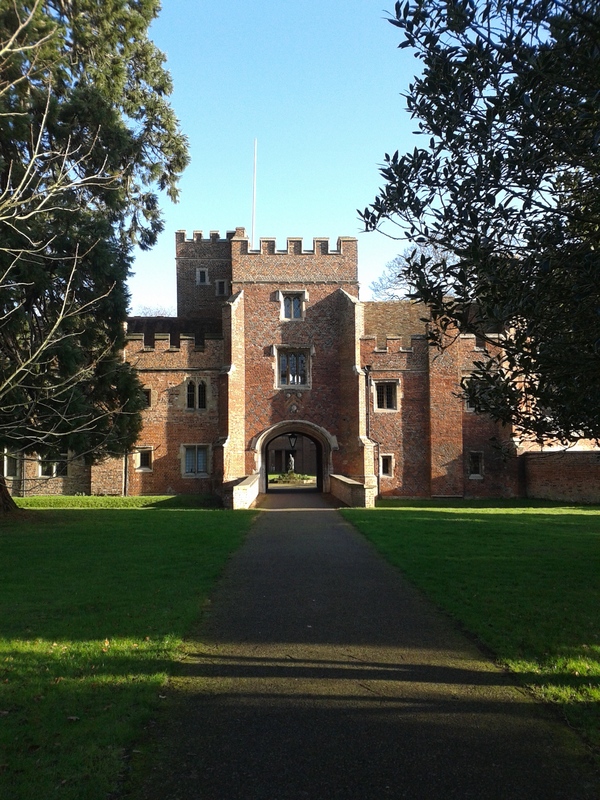 A large gatehouse covers the entrance to the manor, which is surrounded by a moat, and outer walls. 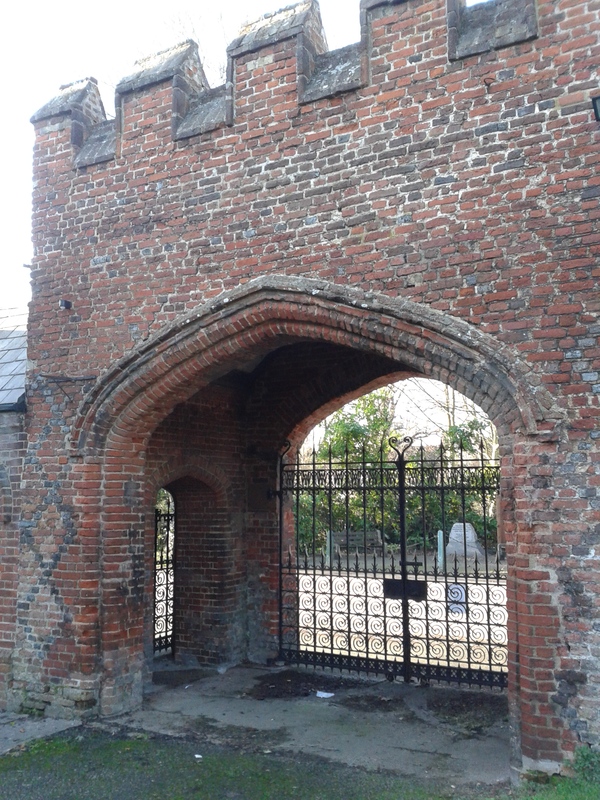 Arrow slits, moderate fields of fire over the approaches, and fortified gates enhance the security of the manor; however, Oxburgh would not have been able to withstand an assault or a siege – it was not a fortress. 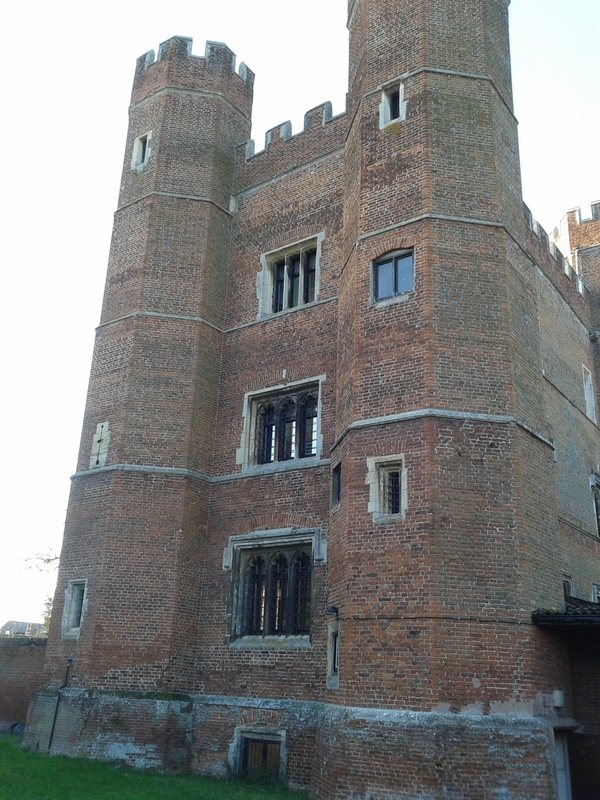 Later, during the repression of Catholics during the English Reformation, a Priest Hole was added off the grand bedrooms located high in the gatehouse, to secretly hide a priest from the King or Queen’s soldiers.